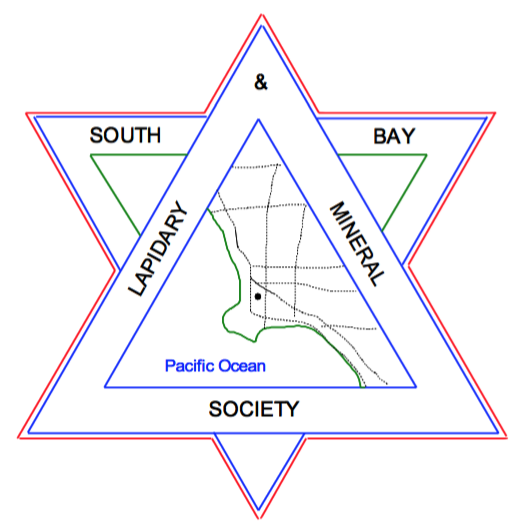 Greetings from the South Bay Lapidary and Mineral Society! At our March meeting, our educational program was on the healing power of gemstones and minerals with our guest speaker David Hellig. You can watch the full video at the bottom of this page if you missed our meeting or would like to know more. Our presentation had us thinking about what rocks are to us, and how they have impacted our lives. Many of our club members come from different places, backgrounds, and career paths. We have had members ranging in age from 9 to 90. Rocks, minerals, gemstones, however you like them- they have many different significances to us. Currently for myself, my rocks add a literal element to my home, and themselves are home to air plants that need no soil to grow. For myself they hold memories of a place, a moment, or a person. For some, rocks can bring healing and peace to their lives in scientific and spiritual ways. They can bring satisfaction through creativity and the art of stone working or jewelry. Rocks can inspire and leave us in awe of the beauty of nature, or serve as a catalyst for the ultimate adventure in the wild. They can bring us together as friends through our clubs, giving us a second family that shares more than just a hobby; touchstones. What is a touchstone in your life right now? How do you define your relationship with rocks, with nature, with healing in your life? Share with us, and share with others! And if collecting rocks is not your thing, then we encourage you to find what is! You never know what kind of connections it might add to your life! That was good information. Thank you. Rocks can make me feel good because they are often so beautiful and they are calming. Looking for rocks takes you into nature which is also calming. Surely you have made writing one of your hobbies! That article was really great to read and made me feel so welcome. I am interested in learning more about the group. I receive e mails but they are usually about past events. How would I go about meeting with the group? Thanks for your kind comment! We meet regularly, usually the first Tuesday of the month with the exception of this month. We are meeting on May 8th at 6:30pm in the Torrance Library Meeting Room. We always welcome all visitors!